This book is Megan Stack’s education in survival. The quote summarises the Prologue in which she first learns about war through the combat duty and subsequent suicide of her uncle. The survival she is educated in is not physical. Corpses litter the pages, both materially and in the imagination. It is the corpse in the mind and the physical body in the world that she is interested in, how the two co-exist and how to navigate the slippages and cracks between them. Back in Pakistan, before I crossed over into Afghanistan, somebody said to me: “Every man in this village is a liar”. It was the punch line to a parable, the tale of an ancient Greek traveller who plods into a foreign village and is greeted with those words. It is a twist on the Epimenides paradox, named after the Cretan philosopher who declared, “All Cretans are liars.” It’s one of the world’s oldest logic problems, folding in on itself like an Escher sketch. If he’s telling the truth, he’s lying. If he’s lying, he’s telling the truth. Both as an idea, and as a metaphoric representation of eight years in the Middle East, this idea is important. Firstly, due to her lack of experience and her outsider status, there was no way to work out who was lying and who was telling the truth. Secondly, it shows her journalistic drive for a real story, and not just gossip. Thirdly, it sets up the environment where stories of bombings were denied by the US Government and her paper wouldn’t run them, where she was denied access to information because she was a woman, where she could not foresee the consequences of her actions as the regimes she was working within were opaque. Finally, it goes back to the paradox of survival, where the Cretan can be lying and telling the truth at the same time, Stack can survive and not survive, both at once. 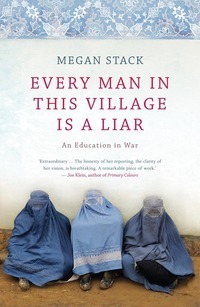 Stack’s reportage is well written in clear, concise language that quickly conveys the political complexity and emotional nuance of a situation. Like Geraldine Brooks’ Nine Parts of Desire, it tells stories of the Islamic world from a female perspective, but in a new century, with new wars. It is geographically broad, but tightly focused on the details of the consequences of war in an individual life. By writing about several countries, it departs from the usual trope of reportage, found in such works as Dispatches by Michael Herr or War by Sebastian Junger, where the author takes the story of one conflict and creates a narrative around their tour. Stack’s ‘tour’ was too long and fragmented for such a neat story-telling device, and her journey was not of herself through a war, but herself within war. “The war no longer feels temporary”(237) she writes in the second last chapter. Writing in the present tense, and then placing this sentence near the end of the book, shows that there is no end to the war she experiences, nor to the way of life within it. It is interesting to read this book in late 2011, after the Arab Spring protests and the changes that daily occur in the region. The chapters on Libya and Egypt show a world only just gone, and sketch the fomenting passions of oppressed people. My knowledge of Middle Eastern news is patchy and gained in a haphazard manner, and it was excellent to have this solid, personal context for the events of earlier this year. The book is subtitled “An Education in War”, and in many ways feels like a series of lectures by a journalist living in the Middle East. Each chapter looks at a different country, or a different aspect of a country, in a region that stretches from Afghanistan to Libya. Iraq and Lebanon feature heavily, with the invasions that tore them apart in the years in which Stack was reporting. Only in the third chapter does she go home, after her first tour to Afghanistan in 2001, and realises that if you are not in sync with your compatriots, home can be a foreign place too. Few of the people she talks about able to move beyond the borders of their own conflict, and therefore also remain bound by their own chapter. But Stack looks at their lives in context, how their lives intersect with her own. In Chapter Fifteen, she writes about Ahmed and his girlfriend, and their view of Iraqi life from the bottom of society. She looks at how she might have endangered their lives simply because they agreed to talk to her. She has no idea what happened to them, and can only write their story as well as possible. 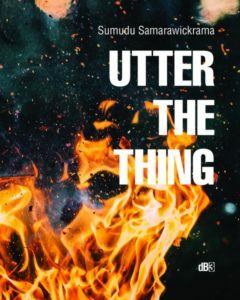 This chapter is a tipping point, and in Chapter Sixteen, Killing the Dead, she traces her trauma and pain with firmer lines, using her scramble through the Lebanese countryside as Israeli bombs are falling to chart her own breakdown. But the education she gives the reader is not on Middle Eastern politics, nor the rise of Islamism, nor the structure of oppressive Arabic regimes. It is on the details of daily life, and therefore the details of mental, emotional and physical survival. Her focus is personal, about a particular constellation of bodies of how she negotiated her way through them. The portraits she draws of the locals who work with her are brilliant, but fleeting. The real subject, as the only constant, is herself, and herself in war. A focus on oneself, both as a journalist and as an individual citizen, is one of the most exciting things about extended, book-form reportage such as this. The ideal of objective reporting is dropped, and all the intangibles that make a life present in the writing are put back in. We read about the smells and tastes, about the rumour and gossip, about the bad vibes, coincidences and lucky escapes that are not news and, in particular, she writes about how the situations made her feel, charting her emotional progress through the years. In Chapters Seven and Nine we read about a young woman who goes clubbing with her translator, who is high on watching history as it happens. By Chapter Sixteen, we read about her as a much older woman, one who is dealing with the consequences of seeing so much conflict, and who can longer separate herself from her story. This is not done without artifice, and at the end of the book you get a strong sense of the craft of her writing. She talks about her boyfriend Tom in the final chapter, and how he had been present with her through much of her time in the Middle East (245). Tom is her husband in the Acknowledgements (254), so we can only guess at the extent of his influence. Her family is rarely addressed directly, and the same goes for her American colleagues at the LA Times. This is to be expected, but nonetheless shows how her personal, emotional stories are still a crafted political point. That you can survive and not survive, both at the same time. That in war, every man in this village is a liar. TESSA LUNNEY is undertaking a Doctorate of Creative Arts at the University of Western Sydney. She is looking at silences in contemporary Australian war fiction, and is writing a novel as the bulk of her dissertation. She has previously published reviews in Southerly, and poetry and short fiction in Illumina, Hermes and Phoenix. She lives in Sydney.